A few years ago, not too many, I was sitting in a bar in St Albans listening to a rather boring sales person talking about a secret mobile phone project that he was working on for a new mobile provider called Three. He was explaining how, within a year, people would be able to video call on their mobile devices! I was fairly sceptical...but sure enough, we had the first of these mobile devices launched by Three, video calling enabled, within a year. Skip forward to 2016 and I am now reading this article that talks about Smart Homes. 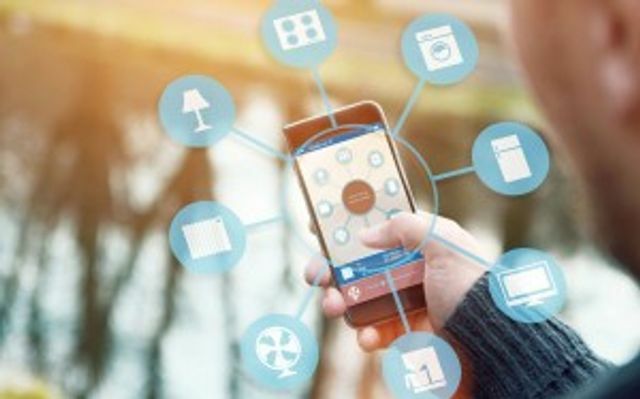 Now that our homes are starting to resemble some scenes from Back to the Future, it is time to start thinking about mobile connectivity and M2M technology. With 43% of Europeans planning to have their home Smart-enabled in the next 3-5 years, that is a vast amount of additional mobile data that will be needed to run the new Smart Technology. This technology is as relevant to businesses as to homes. Why not have a chat with one of our connectivity consultants to see what you should be considering when future planning for your business? Most would agree that MWC 2016 was dominated by virtual reality. However, beyond all the headset launches and public demos, there were other key tech developments – most notably in the smart home, which played a much bigger role than at any previous shows. This is understandable as consumer interest in the smart home is beginning to gain momentum. Our recent survey shows that Europeans are largely positive about the smart home, with 57 percent open to learning more about the concept. Furthermore, 43 percent expect to be living in a smart home within three to five years.